Gail Sheehy’s superb new book recently hit the shelves: Passages In Caregiving. Caring for a loved one with a chronic illness – a parent, partner, sibling or child – is a role no one aspires to but many of us will take on. Gail Sheehy writes that someone is serving as an unpaid family caregiver in almost one-third of American households. It’s a job that lasts an average of five years. In Sheehy’s book, she outlines practical advice, information and resources for caregivers to help them along the journey. 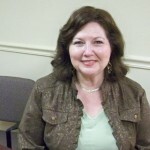 She is an advocate for geriatric care managers and self-care to the caregiver’s wellbeing. She believes geriatric care managers serve as your beacons — lighting your path. Whether you are faced with decisions concerning pallative care, hospice, options for homecare, stages of Alzheimer’s or end-of-life care — you don’t have to do it alone. Is your passage leading you towards better senior care? 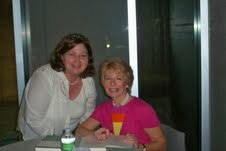 Talking with Gail Sheehy about her personal caregiver’s experience after her lecture.